BRYAN EATON/Staff photo. 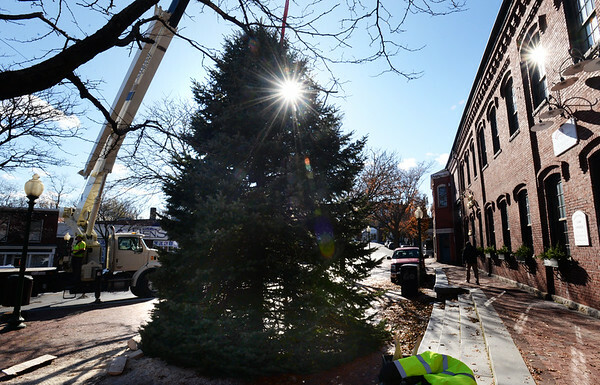 Amesbury's Christmas tree was lowered into place on early Monday afternoon in Market Square. The tree will be lit at the end of the Holiday Day Parade which starts on December 2, at 3:30 p.m.